Powerplay is a niche rock and heavy metal music magazine from the UK, which is not to be confused with the ice hockey publication of the same name. 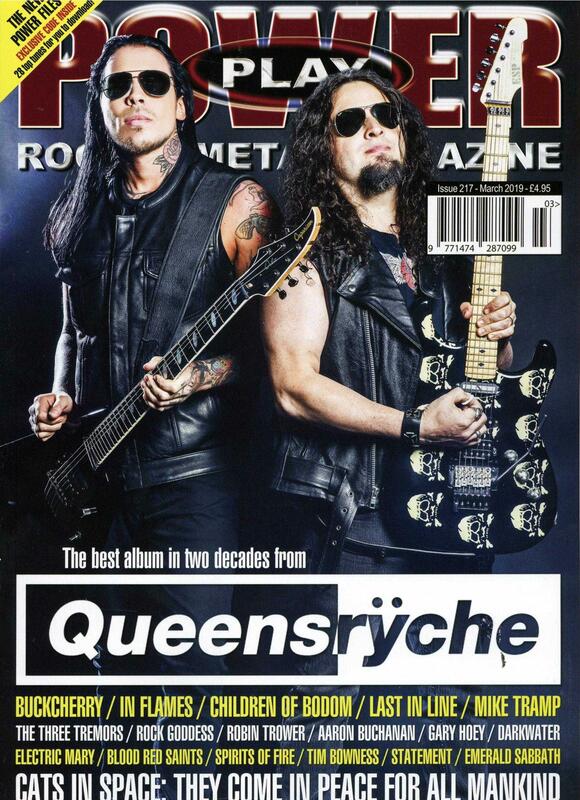 With plenty of interviews with rock legends, reviews on new releases and interesting features on new developments in the industry we think any fan of rock and heavy metal music will love Powerplay magazine. It is released every month and likes to feature the best players and singers around at the moment. "OPUS är musikvärldens mest exklusiva magasin, med underhållande och allmänbildande läsning om allt inom klassisk musik och opera. Initierade reportage från kunniga skribenter, det senaste från svenskt och internationellt musikliv, en konsertkalender, cd-recensioner och spännande läsning om såväl högaktuella ämnen som artiklar med historiska kopplingar." Each month rock sound will bring you the best music around, complete with a free Music With Attitude CD!!! Psych, garage, prog, powerpop, soul, folk...for people who want more. Kerrang is the world s biggest selling weekly music magazine and the original multi-platform youth brand for all rock genres. Kerrang delivers the hottest news, reviews, gig guides, exclusive features, posters, videos and more every week. In print, on TV, radio and online, Kerrang lives life loud for its army of dedicated, music loving fans. If you re into making music with technology in any shape or form, from computers and software synths to a room full of samplers, rack effects and keyboards, then Future Music is the magazine for you. Each month we test all the latest gear, as well as recommending the best albums and sample CDs to buy and rounding up affordable studio accessories.We also interview loads of electronic artists, featuring big-name stars such as Air, Goldie, Talvin Singh, OMD, David Holmes, The Orb and 4 Hero; and also the up-and-coming artists who, we reckon, are going to make it big. Our Making Music section brings you tips for your studio, guides you through the pitfalls of drum programming, shows you how to recreate Classic tracks such as Orbital s Chime or Fatboy Slim s, Santa Cruz, and gives you indispensable advice on, you guessed it, making music. As well as all these we bring you all the latest news, feature reader feedback, provide a comprehensive gear index AND include a cover CD which carries demos of all the latest gear, snippets from sample CD, tracks from the interviewees and plenty of software and interactive features on the CD-ROM section. Country Music People magazine contains features on a range of UK and imported releases in the country music field. The magazine also provides information on the latest chart updates as well features on the well known players in the industry. The magazine will also contain news and listings of evenings and clubs that are being held all over the country which are dedicated to the country music and dancing scene. The original dance music and club culture journal. Established in 1991 in the UK, it has been long revered for its in-depth and up-front coverage of the exciting dance music scene. Unlike most of the other dance music titles DJ magazine is not a watery, dumbed down take on what is going on, but a full strength dose ¿ a double espresso to the weak supermarket brand instant coffee beverages that some of the other publishers put out. The DJ readers are the true style leaders of the massive cultural phenomenon that is Dance Music. They have the key information first. They influence their social circle to pursue their lifestyle ¿ the best new music, the best clubs, the most exciting new clothing, drink and lifestyle brands. The trickle-down effect starts here! DJ MAGAZINE covers the whole range of diverse elements that make up the Dance Music culture: dance music, club culture, DJ technology. It provides a magical mix of software and hardware in one exciting and user friendly package. It is easy to overlook the fact that the music and the equipment exist hand in hand. Even the very best new kit in the world is useless without the music to play through it. Equally, the greatest records don t work without the right gear to play them through and manipulate them with. Monthly. Our vision for The Guitar Magazine is to be the world¿s leading authority and resource for all things guitar, and to provide insight and opinion about gear, artists, technique and the guitar industry for all genres and skill levels. The Wire is an independent monthly music title which aims to provide readers with the most comprehensive coverage of music available in a magazine. With a particular emphasis on new trends, The Wire includes in-depth interviews, extended CD, video and book reviews.